If your driveway gate system is moving slowly, unreliably, or noisily, there could be a number of problems with it. Those include issues with the opener hydraulics or electronics, problems with the track or hinges, or with the rollers. Your storefront roll up gate is also well within the service purview of Gate Repair NYC, and if you start experiencing some issues with it rest assured that you can trust us to provide an effective solution for whatever problem presents itself. The material your gate is made of will make it more likely to experience some issues and less likely to suffer from other ones. No material is perfect, and various problems can occur over time that will merit repairs of some type. Wrought iron can rust and eventually break. Wood can rot and experience a similar result, and it can also warp due to soaking up too much moisture. 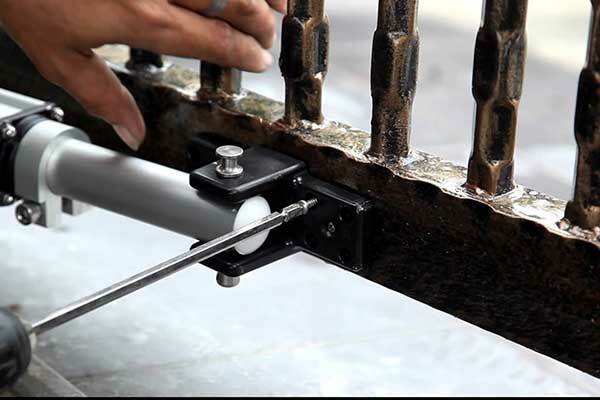 Should you need to have a gate post repaired or some welding work done, you can rest assured that Gate Repair New York will gladly provide the expert assistance you need. If the problem doesn't involve the system you have in your residential property, but rather your storefront gate, don't despair. 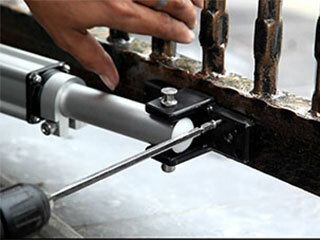 There are many different services available to you, and one of the foremost ones is roll up gate repair. The most complex element of any automatic gate system is the opener. This device incorporates numerous safety and security features, as well as mechanical and electrical components. Some models use a hydraulic system too. Many problems with the opener can present themselves in different ways; for example, a gate that opens only halfway, or one that gets stuck or refuses to open at all. The roll up gate of your storefront may get stuck halfway or fail to close late at night, leaving you exposed. It can also fail to open in the morning, taking precious time out of your workday. After working with every make and model of gate opener on the market for the past decade, acquiring technical experience and knowledge to handle any issue would be unavoidable. The technicians here at Gate Repair New York have the skills necessary to quickly identify the root cause of any problem - and solve it. Don't start combing the countryside for nearby driveway or roll up gate repair experts. All you need to do is either call Gate Repair NYC on our service hotline or use the online system on this website to book an appointment. Let us take care of everything else.